For those that are new to the blog, I began dividend growth investing at the beginning of September 2017. As such, I have been investing for just over one year at the time I'm writing this post. Along the way, I have applied much of what I already learned over the years. Although I already knew these lessons, I think it's a bit different to apply these lessons from a practical standpoint versus the theoretical standpoint I had before I began investing. With that being said, let's delve into 3 lessons I've applied after one year of investing. When you're first starting out investing, it can be tempting to watch the financial media like CNBC. However, what I've realized about the financial media since investing is that it seems as though they are interested in driving ratings. They do this by playing on the two most detrimental emotions an investor can fall back on in lieu of cold, hard analysis. Those emotions are fear and euphoria. It's these strong emotions that bring back viewers time and time again. It's also these strong emotions that lead to irrational behavior, and disappointing results. For instance, the average investor has substantially under-performed the S&P 500 index over the past twenty years. This is primarily because investors let their emotions get the better of them. When you tune out the noise and focus solely on the fundamentals of your investments, that is when you are able to perform in line with the market or even beat the market. Even recently, investors had to endure a market correction this past February that saw the S&P 500 enter into correction territory, only to battle back and end the month down 3.9%. I'm sure during this time the financial media was selling fear, prompting some investors to exit the market. Unfortunately, for investors that did exit the market at the low on February 8th, the S&P 500 has since rallied 11.3% (as of September 9, 2018). This just proves that nobody can accurately predict the market, and that you shouldn't try to either. No matter what the stock market does, there will always be intelligent investments available to you. We have been in a bull market now for nearly 10 years. As a result of this, it is becoming more difficult to find intelligent investments worth considering. But make no mistake about it, there will always be intelligent investments available for your consideration. For instance, one of those investments at the present is Abbvie. According to the Nasdaq, Abbvie is projected to grow its earnings by 14% a year over the next 5 years on top of the current 4.1% dividend yield. Assuming the valuation multiple remains the same, investors are looking at 18% annual returns over the next 5 years. Even if those growth estimates prove to be inaccurate with the risks of an investment in Abbvie materializing, and the company achieves only 8% growth in earnings during the next 5 years, an investor at today's prices is looking at a roughly 12% annual total return over the next 5 years. Abbvie is one of several companies out there that I believe is trading at a compelling valuation despite the overvaluation in some sectors of the market at present valuations. One such reason I advocate for diversification among sectors can be seen in the oil market of 2016. Massive energy companies like Chevron reported a quarterly loss for the first time since 2002, with many MLPs cutting or suspending their dividends altogether. I think it goes without saying that if you derived a large chunk of your income from MLPs during this time, you were absolutely horrified during the most recent bear market in oil. It is for this reason alone that one should be well diversified across all sectors of the US economy. When the economy enters a recession, consumer staples and utilities should hold up well as the anchor of your portfolio, whereas the consumer discretionary and financial stocks in your portfolio will likely be trounced in comparison, possibly resulting in a few dividend cuts, from a combination of generous dividend payouts and a decline in profits that is common during recessionary periods. Takeaways: The financial media can do a great job in reporting key economic indicators that can give you insight into the state of the economy, but it often tries to sell fear and euphoria. For the most desirable results in investing, tune into the fundamentals of the market, while tuning out the emotions in the market. Secondly, the market will always present attractive opportunities. Although they are scarce in an extended bull market like we're currently experience, they are still out there. As I said before, the market may be up or it may be down, but there will always be intelligent investments available for your consideration. Lastly, owning 30 companies isn't enough if all those companies you own are in one sector of the economy. You must be diversified across all sectors of the economy for adequate diversification. This way a setback in one sector of the economy doesn't jeopardize the entirety of your dividends, but only a small portion. 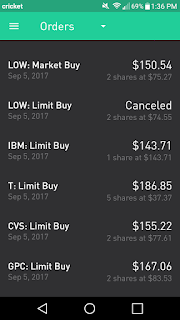 Discussion: How long have you been investing? What lessons have you put into practice since you began investing? Thanks for the great articles and I think these are very important takeaways. Your first and second takeaways drive at the importance of performing your own research. It is easy to avoid the noise and exploit inefficiencies if you understand the stock, the valuations, dividend growth rate, etc. If you are blindly relying on outside sources, such as CNBC or other websites, do you really understand the investment or if it is a good value? Or are you riding the coat tails of someone else who may have different investing priorities than you? Do research, understand the fundamentals, and rely on yourself (with the help of other sources of course). Thanks, Bert! I'm glad you found value in this post. Forming your own opinions on stocks you research is incredibly important in helping tune out all the noise that leads to underperformance for many individual investors. Very wise words, Kody! It sounds like you've learned a lot since you started investing. Like Bert said, I think you provided some important takeaways. The media is mostly noise for ratings, and I think your assessment of the 10 year bull run and finding value is spot on. Thanks for sharing. Thanks for the comment, RTC! I'm glad you found value in this post. Kody, I just discovered your blog. Thanks for posting. I've been investing for about 3 years since shortly after my divorce. I've learned a lot of lessons, but one that sticks out is to find value where you find it and not be locked into one type of value realization. For example, when I started investing I decided that I wanted to be a "value and dividend" oriented investor. I choked on the idea of buying stocks like Alphabet or Amazon with huge multiple and no dividends. 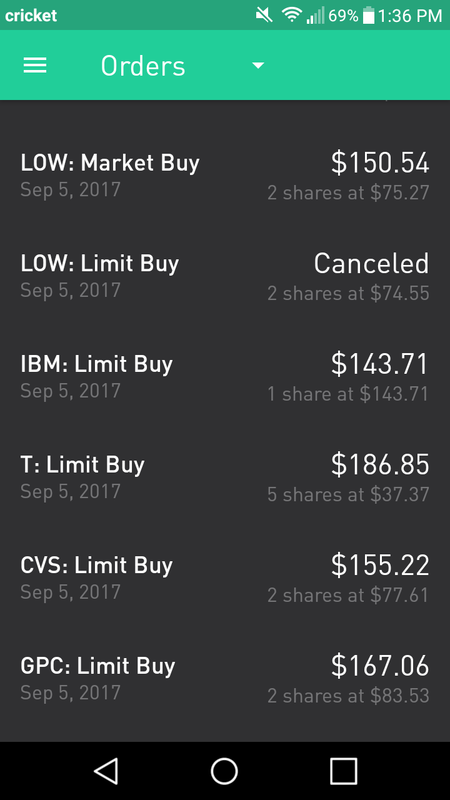 What I found out is that I lost some big opportunities to enhance my overall portfolio value through growth. I'm at least 10 years away from retirement so I don't need to maximize dividends right now. Having said that, I'm still primarily a dividend investor, but now I also look for broader opportunities to find value, even if those opportunities don't fit into my preconceived box. Stephen, that's a great point. There are currently growth companies out there that will be the dividend growth stocks of tomorrow. Apple was an example of this before they initiated their dividend in 2012. It's been a fantastic investment crushing nearly every other potential investment that could have been made at the time. Thanks for reading and I appreciate the insight in your comment.